Khalessi pushed into the open; sides heaving slightly but for the most part she wasn't even close to being out of breath. The sun was still pretty high in the sky, but was past the midday mark and just before the real sun setting started to take place. She had made it just in time and was feeling good about her quickness about it. By now she could tell she had recovered nicely from her injuries and was well conditioned as she had been before her encounter with Blaze. This lightened her mood some, but wasn't nearly as comforting as the sound of those deafening white capped waves that were starting to take over her. Khalessi stepped forward walking closer to the edge of the rapids and scanning the water with slight interest. It looked the same as it had been when she first arrived and something about that made her feel good. The intimidating and powerful vibe gave her the courage to be out in the open like this, though it was highly unlikely that a pack member would happen across these parts anyways. Not that it had much mattered to her anymore, she had been taking more and more risks lately at an attempt to keep her mind busy from what she really needed to be focused on. Khalessi held her head high as if trying to place it amongst the few cloud in the sky, and with a slight smile on her face she closed her eyes. For some reason she had sought out a sanctuary among the rapids, and as she focused on the sound of the water she could see why. The noise seemed to get louder and louder with every passing second, blocking out her heightened senses. She could feel it completely engulfing her, wrapping her up in a blanket that offered security and solace; the peace she had been looking for. She had gotten separated from Apollo, and she had to admit, it wasn't exactly completely by accident. Her older brother was such a bother, and well, it annoyed her how serious he was at times. She figured he'd need a break from her as well, at least for a bit. But what she hadn't thought of, was how to find him once she got away from him. She was young, inexperienced, and well, not the brightest. They had escaped their enclosure together, but since then, she had put in absolutely no effort to learn to hunt, and instead relied on Apollo to do that for her. Now that she was on her own, she greatly regretted that decision. She was starving, and having bi-passed the free meal in the banished lands (unknowingly), she had wandered towards the rapids, not knowing the dangers that lay ahead of her. She didn't spot the white wolf right away, since she was much too focused on a squirrel that had dared move too far away from the trees to make a quick escape. The little animal was at the edge of the rapids, at a less dangerous spot, drinking - something she'd never seen a squirrel do before. She had always chased them on the ground and into trees, never by the water. She crouched low, just like she'd seen Apollo do on the few hunts he had allowed her to observe (she had a habit of scaring off the prey and ruining his hunts). Then she crept forward, eyeing up the little animal and fighting to control her urge to lunge at it right away. But soon, the excitement won out and she lept, her eyes widening as her mis-judged leap landed her right in the water and the squirrel scurried off to safety. Now, she may have not been the best swimmer, but instinct immediately kicked in, as did her legs. The long, willowy legs managed to scrape the river bottom, propelling her to the shore right before the rapids managed to grab her and pull her under. Instead she scrambled to safety, collapsing on the bank and panting softly. Stupid squirrel. Pravin had pulled away from the dens, uninterested in watching the others for today. He figured a solo search through the lands might do good, for both him and the pack. The loner presence was really bothering him, and he was about ready to go lead a group himself, if Chaos didn't want to. But knowing Chaos, she'd do it. She'd do it and they needed to start, Pravin knew that. He shook his head as he made his way to the Rapids. He'd stop by the forest later, but for now, alone time would be nice. The rapids' roar slowly reached Pravin's ear as he walked. It was a nice sound to sooth him, but his peace was ruined when he caught hold of a weird scent. It wasn't a pack scent, but it seemed to him that it could have been; except it wasn't Inferno. The beta was intrigued, and so continued to the loud rapids. Wary of his surroundings, he spotted a female just by the rushing waters. And not too far down the way, there was another, emerging from the waters. Sticking his ears up, he let out a short, soft growl. Normally, he wouldn't bother them, but she was in pack lands. And he was beta, he needed to enforce that power. There was a disturbance, nothing that she had heard or seen, but rather something she had felt. Khalessi opened her eyes, retracting from her calming space and looking behind her towards the trees. No one was there, but the movement out of the corner of her eyes caught her attention and she glimpsed a squirrel scurrying away with fright. The white wolfess followed the path it had taken from the edge of the rapids. 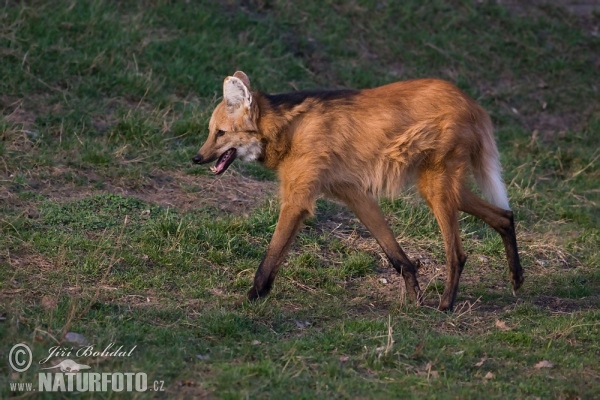 There was a much smaller maned wolf exiting the water and Khalessi immediately perked up at the sight and gracefully trotted over to the individual. "You okay?" she called out over the roar of the water, inspecting the smaller female for any signs of injury. She was lucky, the rapids were known for claiming lives without the slightest hesitation. Even the most cautious of wolves fell victim to the southern rapids. As Khalessi inched forward to offer her services she paused mid step. Lifting her head high as she spotted a male emerging from the tree line. Her eyes narrowed on the brute, and although she couldn't hear him over the noise, she could tell he wasn't happy about their presence. Luckily for her his image didn't bring up any memories, which meant he was a new member who had gained acceptance into the pack after she had been taken. Without another word the proud female stood next to the strange one and waited for the pack member to approach. "Heads up...." she warned the drenched female beside her. Aries coughed up a bit of water as Khalessi approached, nodding mutely as she was questioned on her condition. She was fine, no injuries, just a bit shaken up. Mental note, no blindly leaping at stupid squirrels by water. Check. She frowned as she got to her feet slowly, resisting the urge to shake her fur dry because of the white female beside her. But she didn't have time to look over the larger wolf beside her, for her attention was quickly directed to a male wolf that was emerging from the trees, looking severely pissed at them for being there. Her head dropped instinctively as the other female's rose proudly, confusing the little maned wolf. But she had never been one to stand proud when confronted with a scary looking big male wolf. She was a bit skiddish and easily frightened, and she found herself stepping backwards slightly, as if hoping the bigger and older female would protect her. There was no doubt that the beautiful white female beside her had more experience in these situations than she had. It was tiring, travelling the way Antero did. He spent his time challenging other loners because that's what he did. He didn't do much else but hunt on his own and harass the members of packs he encountered. He, personally, wanted to lead a pack. He felt that he should be the one leading the pack, he felt it was his destiny. It probably wasn't but he liked to think that way. In fact, he was thinking of this as the distant roar of rapids began to play like music to his ears. Speeding his trot to a full on run, he arrived at the rushing rapids far faster than he thought he would. The valley tore his perception of sound weirdly, or maybe it was the most recent rip in his ear. Either way, the rapids were closer than he thought. He walked slowly to the edge, where it splashed the waters at him over the rocks. Antero almost debated swimming across; who knew what was on the other side? The large wolf paced for a moment, right before eyeing the giant rocks that almost crossed the river. Tilting his head, he decided to try it. No harm done, right? Unless he fell, which he was almost sure he wouldn't. Antero took the large leaps and almost glided over the slippery rocks. But he came to the last one, and the last jump to land was a bit too far. The waters were too fast to swim in, and too deep to walk in. But there! A thick log rushed by him and he jumped, almost losing balance before crashing into land. It was like he played a giant game of froggy, and he won. A familiar scent washed over him. What in the world? He had a disgusted look on his face, almost angry that of all places, and all scents, he had caught this one. But then he caught another, stronger scent. He swore under his breath. He knew he was on packlands. But yet, there were other scents, but he couldn't hear anything. Looking to his side, just along the rapids was a growing group of wolves. He took steps forward to them. Pravin was a bit confused at their reactions as he approached the two females. Perhaps he'd sounded too angry with his growl. Or his size was intimidating them like it always did. The white wolf seemed too proud for her own good, and the smaller strange looking wolf looked terrified. Frowning a bit, he gave them a small bow. "I am Pravin, named beta of these lands. Welcome to Silverlight." This white female was confusing him greatly. She smelled familiar but she never knew of her; who could she be? It was then that Pravin noticed a third wolf approaching, but there was, yet again, something familiar about this one. Great. More loners to confuse Pravin. Aries blinked over at the male in confusion as he annouced his title and welcomed them to the lands. What the hell? Hadn't he just been growling at them? She tilted her head to the side slightly, studying him curiously and then glancing up at Khalessi. But then the poor little female was overwhelmed once more with the approach of another large female, making the young wolf crouch lower and move closer to Khalessi. This white female was her only source of protection right now, and since she was barely a year old, she was terribly frightened by both males, especially with Apollo gone. Why did she have to run off??? Khalessi watched with curiosity as the male came closer and when he introduced himself and his position within Silverlight she was quite shocked to hear of it. Inferno's position had been taken over by this male which started to bring up so many other questions that Inferno had failed to answer only a few hours before. Had Inferno gotten into it with Blitzen and was kicked out? Or had this male intruded and took over his position by force or manipulation? Well, whatever the reason, Khalessi was going to need some assurance as to who this Pravin really was. For now she would treat him as an equal, but the burning desire to be distrusting of him would always be there, because although her and Inferno were no longer pack mates, Inferno was still hers and this Pravin was a stranger among her former ties. She returned the bow respectfully, "And I am...", she paused in mid sentence as the both of them looked over to find yet another wolf approaching the area. This one however was unfamiliar. Unlike the female beside her who's scent matched the loners that had been lingering around the vicinity for awhile now. Pravin examined the other's faces after he spoke to them. The smaller, strange, red wolf looked confused. A few moments later, her expression turned to fear as she crouched and looked in the other direction. The larger white wolf returned his bow, and almost introduced herself. But she too looked in the other direction. Slightly confused, Pravin turned and remembered the other wolf who was approaching. Tilting his head only a fraction, he examined the walking wolf. Large, like himself. A black colour with an almost familiar pattern. How did Pravin know him? He must have known this stranger wolf, and with memories, Pravin almost wanted to growl again. Antero continued to the group of wolves, holding his head up with fake pride. He had a devious look in his eye, knowing exactly who he was walking into. But unsure if the other, older wolf, remembered him. Oh Pravin. What a joy... He thought to himself, already trying to plan his revenge. With Pravin, Antero saw a large white female, and a very small, very young, red wolf. He stepped up beside them, and gave them his own bow. With a smile, he spoke. "Why, hello there ladies, and you as well." As soon as Pravin heard the deep, rough voice, he stiffened up, narrowing his eyes. Something was happening here, but for the life of her, Aries couldn't figure it out. Yeah, there were two males and this female beside her, but there seemed to be some sort of tension between the two large males in front of her. She frowned, her tail between her legs as she looked up at Khalessi nervously, hoping that if anything went down that the female wouldn't be against her, but would actually help her. But when the new male, the darker one, spoke, she flinched slightly, looking back in his direction. She swallowed nervously, her ears flat and her rear sinking to the ground so she was now sitting, still submissive, but obviously trying not to look so weak and terrified (although she couldn't really hide it much). She kept quiet, fearing that her voice would break if she were to open her mouth. Khalessi's ears flicked as she stared the newcomer down with interest. The reaction he got out of the pack member created a bit of tension, and it clearly presented itself in the aura surrounding the group. The white female looked around the trees, only returning her gaze when the dark male greeted them. Pravin's irritation at the approach made her feel uneasy, but she remained calm, cool, and collected as she returned the greeting with a slight bow of the head. "Good evening" she replied with courtesy then glanced between the two males. Just because the two of them seemed at odds didn't mean that Khalessi herself was in any danger, so she had no reason to be alarmed, yet. In an attempt to keep anything from happening however, Khalessi turned to the darker one and smiled warmly. "I'm sorry, but I've been around these parts for quite awhile and I don't seem to recognize your scent. Judging by his response of recognition, I'm wondering if you belong to the local pack around here?" Of course she already knew he didn't, having been part of it herself, she knew the pack scent well. Although she seemed harmless enough, her eyes were anything but gentle. She was looking at the stranger with her intense gaze, a look that seemed to say she could "see him", the wolf that lay behind the appearance. Antero was surprised when Pravin wasn't the first to speak, although his reaction was well-read by all in the group. Looking to the almost majestic white female in front of him. She was attractive, but she seemed to have a look in her eye. A certain look that seemed to stare daggers, giving a sense of danger and lies to the story. The little shaky wolf only added to the excitement of the event. Pravin's anger just made him laugh in his head, a good "haha!" to throw in his face. Sitting down and giving them a calm look, Antero thought of what to say. But he shook his head. "No. I am not, actually. I just arrived moments ago. Jumped over the rapids, you see? Although, his response of recognition just confirms my suspicions." He turned to look at his brother and former pack-mate. "Hello Pravin." He added, a clever and cunning smile to add. This was the moment Pravin let out his low and light growl. It was that demeaning voice, and the cocky way the other wolf wove his words. The almost calm features, the same that Pravin had seen before, that never meant calm. They meant cunning, and planning, trickery and deceit. Pravin knew who this was now, and he wasn't afraid to show his lack of care for the wolf, or his almost hatred of the brute sitting in front of him. "Antero." He shortly said, becoming unaware of the wolves beside him as a flood of memories washed over him. But he snapped back to reality and turned to the white wolf. "And you. You've been around here for a while? Have you ever, been part of the pack?" Time to confirm his second suspicion, now that he knew he had encountered Antero, "There's something about you, that's trying to ring a bell in my head." Irritated, that wasn't even the word. Having Aries take off like that was just to much, they were new here, and they had just barely talked to a pack member here, why would she go off and do something dumb like this? They couldn't just be running around like this, they weren't even part of the pack yet, did she even stop to think what could happen? Probably not... she never did, he was left to think about it, and have to track her down before anything happened to her. He mumbled the entire way, trying to follow her scent, though, as he hit the rapids that got hard, her scent stopped at the water. He sighed, looking back up river, and down it, what could have happened, did she get swept away by the rapids?! She could have easily drowned here, the strong water could have easily taken her small body away. He sighed again, again wandering around, looking near the shores. He was worried now, what if she did drown? She was the last of his family... he couldn't lose her now. Aries flinched at the sudden outburst of her brother's entrance and angry voice. Crap. This was probably the worst timing ever. She swallowed nervously and lowered her posture more, submitting to her older brother's angry tone like she always did. "I...uh..." she stuttered, unable to get the words out. She was in big trouble before, but now that Apollo was here, she was in even bigger trouble. Oh, why did she have to wander off like that?? She knew it wasn't the smartest thing to do, but she had been so bored. Her ears flattened as he yelled at her and called her a fool, but when he realized there were other wolves here, she looked around at them all, trying to figure out how to respond or react. Satisfied with the males response her eyes dimmed a little and softened at his honesty. It made her feel a bit better, even though Pravin still showed hostility. Obviously this was a personal matter, as she had suspected. When the pack member addressed her she looked at him questioningly then shook her head slightly to his question. "No, I've just been in the area awhile. I see you were on border patrol. If you do that often than you've probably come across my scent more than a few times. Prey is thickest by your borders. Don't worry though, I never cross over." she offered an assuring smile. She wasn't exactly ready to let her former pack mates know she was here. In fact she didn't know if she would ever be. Khalessi almost sighed, but then a sudden disturbance snapped her attention to an approaching maned wolf. This male looked almost identical to the small fragile female before her, and the anger he put forth was a bit unwelcoming to the group. It's not like they hadn't enough tension and hostility already. She stared down at the male for a moment then turned to the female who had yet to state her name. "A friend?" she asked curiously. Pravin felt as if this while wolf wasn't telling him the whole thing, but he had to believe her when she said there was prey by the borders. And that he'd encountered her scent more often than not on his patrols. But then again, there were lots of scents to catch. Especially with all the loners about. The large wolf had a feeling he wouldn't be bringing all of these wolves back to the pack. He was about to say something more when a red wolf similar to the cowering female showed up. He began to yell at her, and Pravin could tell that they knew each other. He didn't say anything as the white wolf questioned it. His ears flicked about, his mind noticing how many loners had shown up in the vicinity. There were already four by the rapids, how many more could there be? Antero was satisfied by the response he had gotten from both Pravin and Khalessi. Pravin had growled but turned his attention away; he seemed to not enjoy the fact that Antero was there. Perfect. The already present hostility was interrupted with more hostility from an approaching maned wolf. His anger was only thrown to the smaller female, and she looked absolutely terrified. The maned wolf then realized everyone was there and Khalessi spoke again. "Maybe even a brother?" Antero said, taking note of the familiarity in their coat, while also poking fun at the fact that he was there with his own brother. Aries looked up at Khalessi as she asked if Apollo was friend or foe. 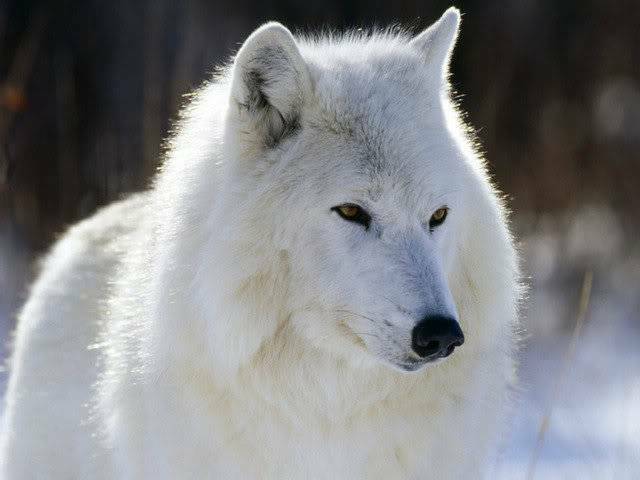 She frowned slightly, looking over at her brother and then back up at the white wolf. But before she could answer, one of the other males spoke and she looked over at him and then at the pack male. "Yes, he's my brother." She said softly, looking back up at Apollo as he apologized and told her that she can't run off like that. Yeah yeah yeah, she knew that, but that hadn't stopped her before. She finally rose slightly from her crouching position to blink up at her brother almost defiantly. "I'm not a child, Apollo. You were getting tired of me anyways. I figured you needed a break." She said, trying and failing to explain her reasoning behind taking off on her own. She didn't care whether he liked it or not, he had to deal with it. She was old enough to take care of herself, and even if she didn't try most of the time, if she wanted to, she could survive on her own. But now she decided that it was best to stop talking, before she got herself into a lot of trouble with either him or one of these other wolves around them. She was slightly disappointed that the younger male wolf continued to ignore their existence, though it was obvious he had recognized their presence. Instead, he continued to scrutinize his sister leaving Khalessi to offer a warm and confident smile when Aries looked to her, almost as if asking for support. When Aries started to defend herself she was quite proud. It was in the right of every wolf to establish some sort of independence; though Aries looked to be a bit late in the game, but still it was a first step to becoming an adult, a phase not many got to see happen everyday. Knowing you could support yourself on your own was quite a thrilling change that offered security to those who sought it. However, trying to break away from those who loved you so dearly wasn't exactly a good choice either, but she doubted it would come to that. The pair seemed close. As the white female drifted off into her own thoughts she looked in the direction of the pack lands and her eyes softened with uncertainty. She had done exactly what she was telling Aries not to do in her head, but she wasn't even sure if that bond had been close. It had been unspoken and almost nonexistent in the days that she had been there. As the siblings continued to talk to each other Khalessi picked up on something in the distance. Her ears perked and she zoned in on the eastern forest, listening to the howl of a female loner, with a broken male accompaniment. She didn't recognize the voices, which meant she could add two more to the loner count. She should have been happy at the new data, but somewhere deep down she was worried. This new explosion of loner population was starting to irk her for some reason. As the song died down she looked to Pravin expectantly, wondering what his reaction would be. Both Pravin and Antero watched silently as the little red wolf defended herself. Aries and Apollo, that's what their names were. Pravin made sure to remember that. Antero simply didn't care. As Antero amused himself with the siblings' problems, Pravin's ears perked up at a distant sound. Before he listened, he saw Khalessi react the same way. They both heard the strange howls that didn't match the voices of the pack members. His ears fell back in frustration, as he realized that aside from the four in front of him, there were still more loners out there. 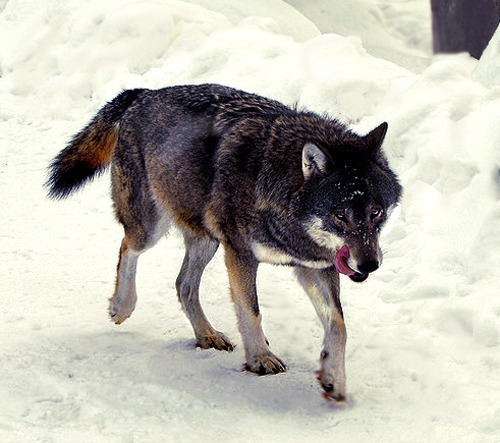 He turned his head to look in the direction of the Eastern Forest, letting out a short howl in an attempt to alert Blitz of the sudden loner appearances. 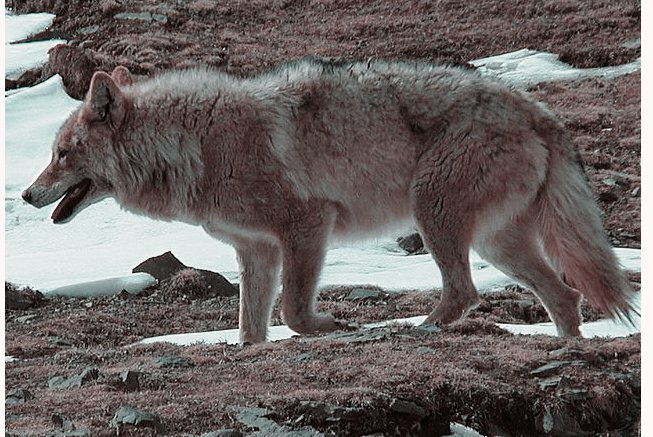 Why were there so many wolves around the borders? At that thought, Pravin reminded himself to get Chaos to set up those patrols already. He felt as if loners were going to outnumber those in the pack and that wouldn't go down well. Especially after the fact that they were broken already, this didn't look okay. He let out a quiet growl, but it was only a whisper. He just let out a long sigh, not really feeling up to arguing with her in front of these wolves, it was already awkward enough. Instead he just sat, glancing around, his ears perking as he heard howling. More wolves? How many resided here? It was sorta amazing at the sheer number there seemed to be around these lands. He glanced back at Aries, grinning, wondering what next. They were still basically guests here in the pack lands, and, by how tense things seemed here, staying was sounding like a worse idea even more. Perhaps with the sound of more wolves most of this group would disperse, Apollo liked the idea of not being around so many better, it was safer then being around a lot of wolves, with tensions seeming to be high anyway. She was a bit surprised when Apollo didn't argue with her, and she looked up at him in confusion as he grinned at her. What the hell? She frowned at him, looking up at the white female beside her once more before relaxing a bit and standing at almost her full height. She was still much smaller than Apollo, but her long legs made her fairly tall for a very young female. She blinked around at the wolves, tilting her head slightly. "I know you've all heard our names, I'm Aries, and this is my brother Apollo." She said, looking up at her brother as if for support and encouragement before continuing. "We've been wandering alone for a long time, and well, I wandered off and ended up here. We didn't mean any harm by trespassing. I didn't realize I had entered your territory." She said, turning and looking over at Pravin now, assuming that he was the only pack wolf present. Khalessi looked to the siblings and smiled at Aries. "I think you'll be okay. I'm fairly certain we haven't crossed the borders just yet. Just dangerously close, which probably concerned Pravin." The white female looked to the pack member as if asking if she was correct. "You can call me Ali" she said firmly before looking back to Aries and her brother Apollo. She had come close, but held her tongue at the last second and changed her name. The loners weren't exactly a problem, but she didn't need Pravin knowing her full name. Now comfortable with their presence Khalessi sat down and relaxed, falling silent as she listened to another howl in the distance. A response to the first, but she didn't recognize the vocals of this one. She wondered how big the pack had gotten since she had left. Pravin shook his head as Aries apologized for trespassing, but got more suspicious as the newly introduced Ali voiced her opinion on the pack borders. "You two are fine, as long as you meant no harm. If you two," He looked at the others,"And you all as well, would like to join the pack, we're welcome." He secretly hoped that the siblings would accept, and Antero decline. He didn't think he could spend another lifetime with his half brother; it would bring back too many memories. He wasn't sure what to think of Ali though. He looked at her, "It seems as if you've been here long enough, anyway." he commented, pointing out how she seemed to know as much as he did about the land. As he was speaking, his ears perked up as he heard Xerses' voice ring through the ear, responding to the loners about the forest. Antero couldn't help but laugh at Pravin's question and invitation. He forgot about the other wolves, and pretended to not hear the distant howls from the close-by forest. "Brother, you expect me to join you again? After everything you left the family? Of course not!" Antero continued to snicker, a sly grin on his face. He wasn't afraid to voice his hatred of the red wolf that was his half brother. "Are you even allowed to take us in? Have you taken up the Omega spot here too?!" When Pravin quietly and angrily informed him that he was the beta, Antero burst out laughing again. "Hah! I'd rather not!" Antero was very close to taking the dramatic exit and walking away right to the forests, where he had heard about the banished plains just beyond. At this point, Aries simply watched the other wolves, looking for an exit strategy, although, she had a strong feeling that sticking around with this white female might benefit her and her brother. So she said nothing, and nor did she move. Instead she looked up at Khalessi curiously, wondering what her answer would be to the male's invitation. Would she accept? Would she respectfully, or disrespectfully decline? She had no idea, but she had a feeling that joining this pack now was a mistake. Just a strange feeling she had about the place.